This is a video I saw on youtube that I would like to share with you. You take a cookie sheet and put water and a couple of squirts of soap in it. Then put it somewhere out of sight, like under the bed. 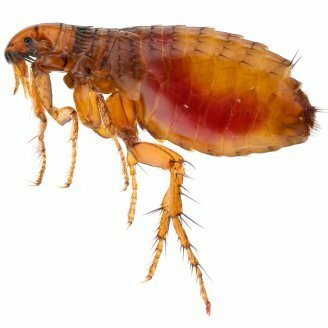 This is a guide about making a homemade flea trap. Fleas are a horrible nuisance to have around your home. get rid of these tiny pests with a homemade flea trap. You can also take a night light (without the shade on it) and put a small dish of water under it and the next morning you will have gathered fleas. They go to the heat of the night light bulb and drown in the water. The fleas are drawn to the light. A cool LED night light will draw them just as well, and use much less electricity to run all night. Here's some to help.Shampoo - add one drop of either lgmsneraos and citronella essential oil to the shampoo (enough shampoo for one wash).Take an old piece of material (toweling is good) and soak it in a solution of warm water (one pint) and 4 drops of cedarwood or pine essential oil and rub dog all over with cloth. Soak a material collar in a solution of -1 drop cedarwood, 1 drop lavender, 1 drop citronella, 1 drop thymemix. This with a little olive oil or almond oil. Put collar on dog to wear as normal. These are all for keeping ticks and fleas at bay. Once the dog actually has ticks, try this - 30mls of olive oil mixed with 10 mls of lavender and 10 mls of St.
johns wort (this is hard to get hold of so if not available use tea tree). Massage this blend over ticks and they should drop off within about 10 minutes. Catch the little blighters and burn em! LOL! This can also be used as a preventative measure, massaging on the dog regularly.ADD-ON. Found another one. These are pure essential oils keep them away from dogs they will last for ages:21 drops of Geranium, 14 drops of Lavender, 21 drops of Eucalyptus, 14 drops of Tea Tree. Mix in a plant sprayer with 250-300 mils of warm water and spray your dog while you groom not only will he/she smell wonderful but the insects hate it.